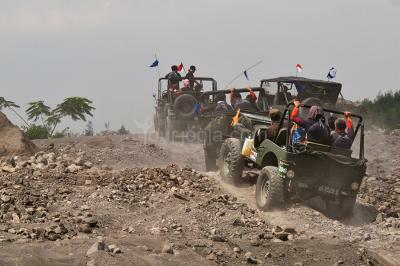 See the real and the most exotic side of Mount Merapi with Taking an off road jeep on a Merapi Lava tour area and watching the sunrise moments at the volcano then continue the trip to another nature view area called Becici Peak and Pine Forest, that the one of the most things to do in Yogyakarta. This is the different way how to explore the wonders of nature. 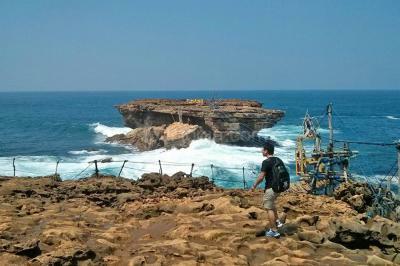 Then after finish volcano tour, go to Becici Pine Forest. 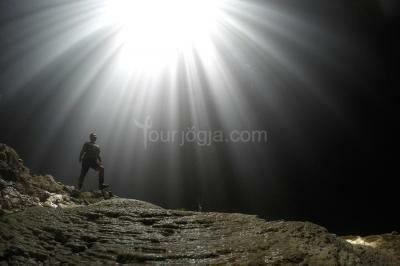 From North to Southeast of Yogyakarta. Takes around 1,5 hours drive to Becici. See the exotic place with nice view, beautiful green forest scenary from heights. You also can enjoy Pine forest atmosphere surrounding. This attraction became popular in social media after Mr. Obama was visit Becici peak. It grew too busy and crowded especially during weekend and holiday season. Point of interest : Breathtaking view of vast vegetation, hills and city view from heights. The main attraction is taking a picture on the stage and pine forest atmosphere surrounding.